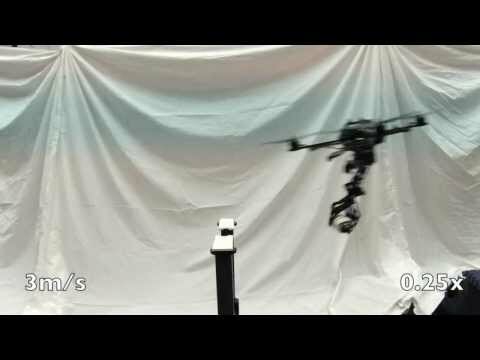 A simple demonstration of automated perception, whole-body motion planning, and dynamic stabilization using Atlas and software developed at MIT. 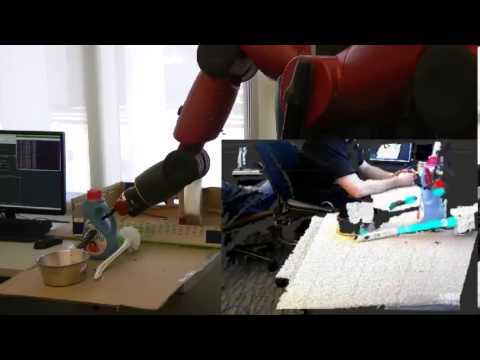 The robot localizes and grasps appropriate handles on novel objects in real time. Drawing inspiration from aerial hunting by birds of prey, we design and equip a quadrotor MAV with an actuated appendage enabling grasping and object retrieval at high speeds. We develop a nonlinear dynamic model of the system, demonstrate that the system is differentially flat, plan dynamic trajectories using the flatness property, and present experimental results with pick-up velocities at 2m/s (six body lengths/s) and 3m/s (nine body lengths/s). 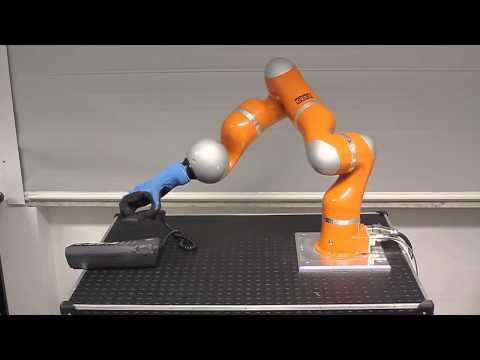 This video introduces the iRobot-Harvard-Yale (iHY) Hand, an underactuated hand driven by five actuators which is capable of performing a wide range of grasping and in-hand repositioning tasks. 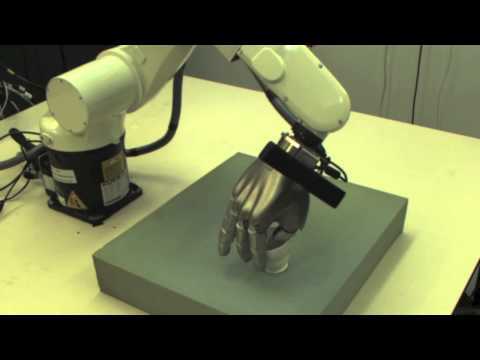 This hand was designed to address the need for a durable, inexpensive, moderately dexterous hand suitable for use on mobile robots. Particular emphasis is placed on the development of underactuated fingers that are capable of both firm power grasps and low-stiffness fingertip grasps, using only the compliant mechanics of the fingers. 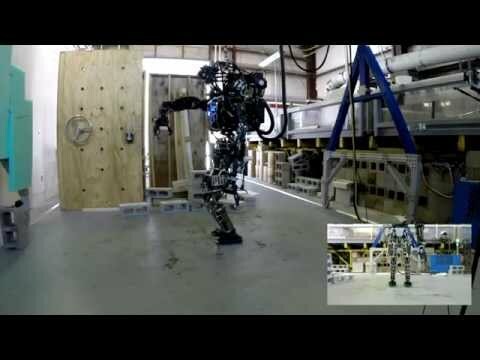 Aaron Dollar's Aerial Manipulator integrates a gripper that is able to directly grasp and transport objects. We investigate the premise that robust grasping performance is enabled by exploiting constraints present in the environment. Given this premise, grasping becomes a process of successive exploitation of environmental constraints, until a successful grasp has been established. 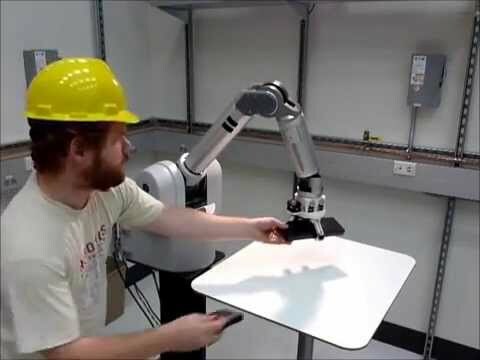 We present evidence for this view by showing robust robotic grasping based on constraint-exploiting grasp strategies, and we show that it is possible to design robotic hands with inherent capabilities for the exploitation of environmental constraints. We present the first implementation of the UNIPI-hand, a highly integrated prototype of an anthropomorphic hand that conciliates the idea of adaptive synergies with a human-form factor. 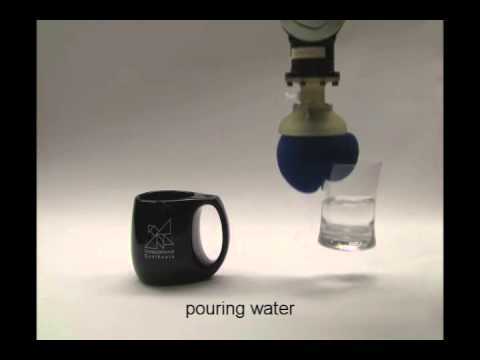 The video validates the hand's versatility by showing grasp and manipulation actions on a variety of objects.